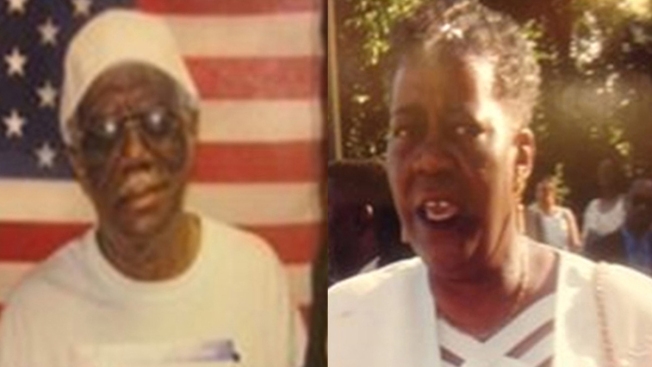 James Everett Ward, 76, and Rosa Lee Thomas, 72, are missing from Prince George's County. A brother and sister in their 70s are missing from Prince George's County. James Everett Ward, 76, and Rosa Lee Thomas, 71, were last seen about 2 p.m. Monday in the 7200 block of Sheriff Road in Landover, Prince George's County Police said. Ward and Thomas, who both live in Landover, were driving a burgundy Jeep Liberty with Maryland tags 638M085. Thomas may need medication. She was described as an African-American woman who stands about 5-foot-8 and weighs 185 pounds. She was last seen wearing a gray jacket, blue sweatpants and a gray and black fleece hat. No description of Ward was provided by police. Anyone who sees the pair is asked to call police at 301-772-4911.